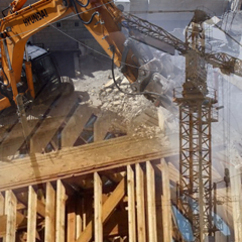 Potential disturbance and nuisance from demolition and construction activities is a major concern for regulatory authorities and in closely developed urban areas can contribute to significant reported adverse reaction and possible health effects from nearby building occupants or concerned asset owners and stakeholders. 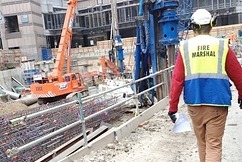 Understanding the risk associated with certain works is an important part of a contractor's management process and Southdowns provides end to end capability and full service options across all aspects of noise, vibration and dust specialisms. 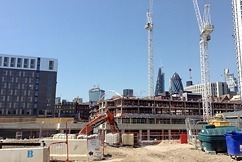 Southdowns has an extensive portfolio of demolition and construction projects ranging from relatively small scale refurbishment projects to major new infrastructure developments lasting several years. Available technology now enables continuous noise, vibration and dust monitoring on a large scale with on-line accessibility and user activated data management and analysis. Many of the larger Local Authorities recognise the benefits of well managed sites and now require details of committed management planning activities including monitoring and self-policing procedures. expert witness for conciliation, adjudication, arbitration and litigation cases.